Oil recharge pump for replacing oil in auto A/C systems or into compressors after oil removal. Easily works on all system pressures to 300 psi, 1.5 ounces per stroke. 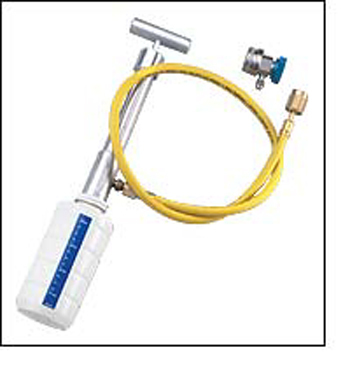 Includes bottle with calibrations, hose and low side R-134a coupler. May be used on R-12 and R-134a systems.